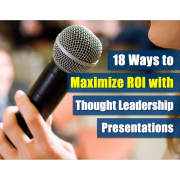 Maximize your time with a highly-focused 1-on-1, individual presentation coaching specifically designed for you. 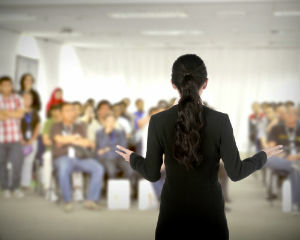 The Speak Simple team will review your presentation style and strengths then develop a customized game plan to improve your skills and confidence when presenting. 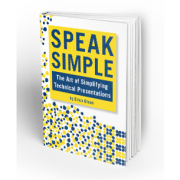 Whether you’re a good presenter that wants to become great or a novice speaker that desires a comfortable level in front of an audience, Speak Simple will get you to the next step. The Speak Simple training is specially designed for highly trained, technical professionals such as engineers, lawyers, architects, doctors, construction managers, and other professional service providers. You can only develop a skill through practice and the right coach knows what to train and gives you an objective point of view to make you a better presenter. Individual trainings can be done over a series of sessions over 3, 6, or 12 months. Throughout the sessions, you’ll learn the basics of speaking, how to develop a great presentation, and how to deliver like a pro. Get started and become a stronger presenter that relates to the audience and enjoys presentations with individual presentation coaching with Erica Olson by calling 504-912-4543. I wish all of the presenters at this conference were as engaging and thorough as you.